LuAnn Klein's home-based studio allows you to feel like a guest, not just a customer. You are invited into her home, a warm and comfortable environment, that is fully equipped to meet your individual needs. The stress some people feel about exercising in public, or dealing with a health club setting, is eliminated. The room can be as warm, or cool as you wish, with music or not, low lighting or bright lighting, everything can be custom-tailored to your comfort. This allows you to be more relaxed and focused so that you can work deeper to achieve the best results. Star Treatment Pilates is equipped with a reformer/tower combination, Wunda chair, spine corrector and all props and accessories for a creative and effective workout. Pilates at your place! Individual mat and small apparatus training at your home is also available. A 24-hour cancellation notice is requested for any missed sessions. If no notice is given, or given with less than 24-hours notice, the session in a purchased series will be forfeited. If the session missed is an individually purchased session, an additional $20 will be added to the next purchased session. Any session not attended will be forfeited. Working with each and every client is a special opportunity for me to make someone feel great. I love what I do! However, when I get great feedback from my clients I feel elated! Keep coming back as I will post more testimonials as they com in. As a Certified Health Education Specialist, with a degree in Community Health Education from the University of Arizona, LuAnn has spent her career in helping others achieve optimal health and wellness through behavior modification programs in nutrition, weight management, smoking cessation, fitness and chronic disease management. She has led group classes and provided individualized plans to participants in community sponsored, employer sponsored and health plan sponsored programs. Some of her corporate clients have included Gulfstream Aircraft, Office Depot, Boeing, Toyota, Mobil Oil, U.S. Borax, The United States Coast Guard, HealthNet, Pacificare, SCAN, the City of Long Beach, and Long Beach Memorial Medical Center. 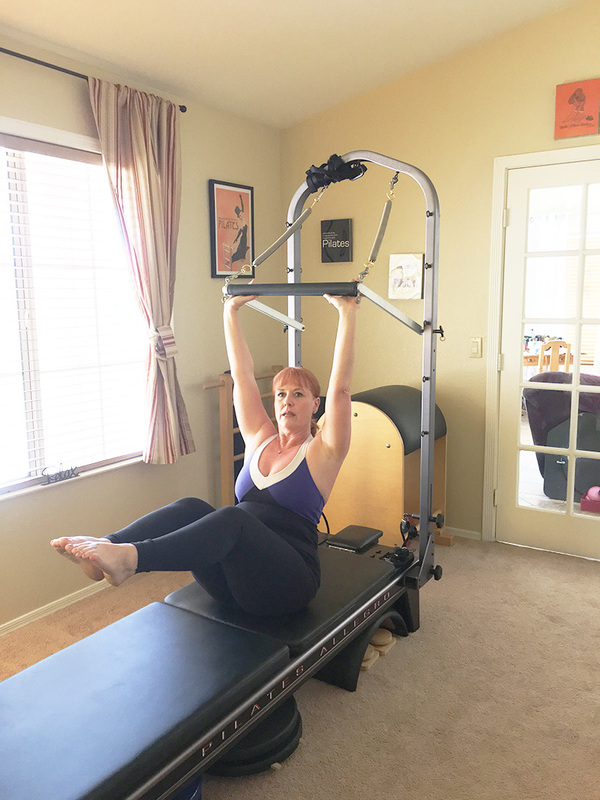 After knee surgery in 1998, LuAnn found Pilates through Long Beach Dance Conditioning (LBDC), founded by Marie Jose Blom, to rehabilitate and regain strength. After several years of Pilates classes and training, she returned to LBDC, this time as a student, not a client. LBDC is also a premiere teacher training facility, known throughout the world for turning out the most highly educated and best-prepared Pilates instructors. Over 450 hours are spent in the classroom and in internship to receive certification. The course includes work with all apparatus and mat repertoire, coupled with functional anatomy and biomechanics, kinesiology, rehabilitation, injury prevention, posture analysis and adaptation. 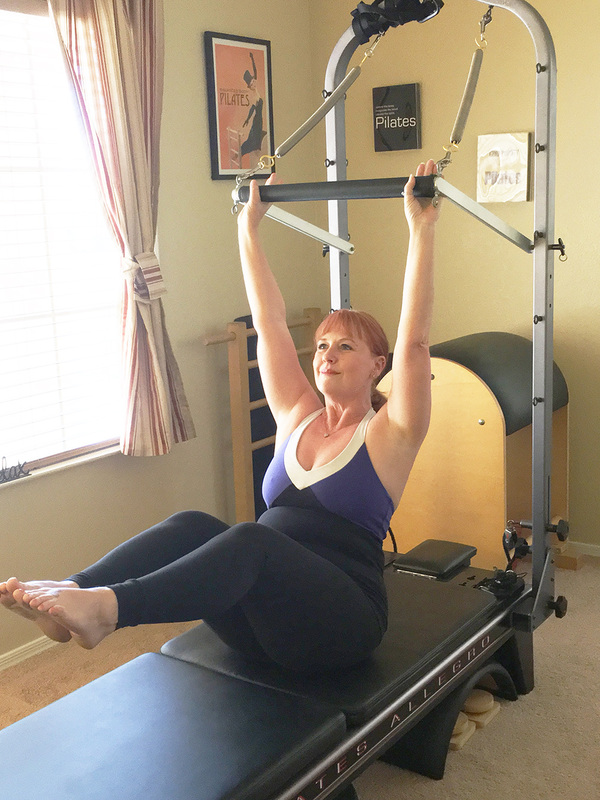 Founding Star Treatment Pilates has enabled LuAnn to fulfill her dreams of having a home-based business that fuels her passion for Pilates and brings the method to everyone in a cost-effective manner. Personal Pilates training shouldn't be cost-prohibitive for the average person. Joseph Pilates dreamed of bringing his method to everyone, rich and famous or not. LuAnn feels the same way. Joseph Pilates went to England in 1912, where he worked as a self-defense instructor for detectives at Scotland Yard. At the outbreak of World War I, Joe was interned as an " enemy alien" with other German nationals. During his internment, Joe refined his ideas and trained other internees in his system of exercise. He rigged springs to hospital beds, enabling bedridden patients to exercise against resistance, an innovation that led to his later equipment designs. An influenza epidemic struck England in 1918, killing thousands of people, but not a single one of Joe's trainees died. This, he claimed, testified to the effectiveness of his system. After his release, Joe returned to Germany. His exercise method gained favor in the dance community, but when German officials asked Joe to teach his fitness system to the army, he decided to leave Germany for good. When Joseph Pilates died in 1967, his method was barely known beyond the elite group of dancers, actors, and wealthy clients who trained at his studio. Joe believed passionately in his work and wanted every school and gym to teach it. He dreamed of a day when "Pilates" would become a household word. "I am fifty years ahead of my time," he once said. He was right. Pilates gets your mind in tune with your body. By emphasizing proper breathing, correct spinal and pelvic alignment, and complete concentration on smooth, flowing movement, you become acutely aware of how your body feels, where it is in space, and how to control its movement. The quality of movement is valued over quantity of repetitions. Proper breathing is essential, and helps you execute movements with maximum power and efficiency. Last but not least, learning to breathe properly can reduce stress. Conventional workouts tend to build short, bulky muscles - the type most prone to injury. Pilates elongates and strengthens, improving muscle elasticity and joint mobility. A body with balanced strength and flexibility is less likely to be injured. Pilates exercises develop a strong "core," or center of the body. The core consists of the deep abdominal muscles along with the muscles closest to the spine. Control of the core is achieved by integrating the trunk, pelvis and shoulder girdle. In conventional workouts, weak muscles tend to get weaker and strong muscles tend to get stronger. The result is muscular imbalance - a primary cause of injury and chronic back pain. Pilates conditions the whole body, even the ankles and feet. No muscle group is over trained or under trained. Your entire musculature is evenly balanced and conditioned, helping you enjoy daily activities and sport with greater ease and less chance of injury. Pilates is also an extremely flexible exercise system. Modifications to the exercises allow for a range of difficulty ranging from beginning to advanced. Get the workout that best suits you now, and increase the intensity as your body conditioning improves. Joseph Pilates thought that the "spine should be flat like a newly-born infant even throughout adult life." (Pilates, Return to Life pg. 27) We know today based on a plethora of scientific research that the normal kyphotic and lordotic curves of the spine are healthy and help the spine to absorb compressive forces safely in a vertical orientation to gravity. Today, we refer to "neutral spine" or "neutral zone" as the position where each spinal or vertebral segment bears an equal distribution of force. (Panjabi, 2003) We might also say that neutral spine is the "optimal" position of the spine that would be safe for lifting a heavy object. Environmental influence on what bodies generally need for balanced muscle development appears to change over time. Today, it is no longer the goal of modern Pilates to obtain a "spine that is kept as straight as a plumb line." (Pilates, Return to Life, pg 27) It is postulated that Joseph Pilates' intention in use of the flat back position was to strengthen the abdominals for maximal vertical function. The goal for each client's spine is optimal stability and mobility. When we consider the health and condition of each client's spine, we may choose to bias the program towards flexion or extension based on their issues or physical dysfunctions. Pilates style of breathing emphasizes costal breathing meaning that the posterior-lateral ribs move in an upward and outward motion during an inhalation. A transversus abdominus contraction is required to prevent the distension of the abdominals and subsequent reduction in core control. (Richardson 2004, Chaitow 2002) The exhalation phase may be a passive exhale or a very active "forced expiration" to emphasize rib mobility, lung cleansing and abdominal strength. (Pilates 1945, Richardson 2004) Diaphragmatic breathing allows distension of the abdominals, decreases core control and is often used for relaxation, motility of the organs and in Yoga practices. (Gilbert 1999) Diaphragmatic breathing is not to be used for Pilates exercises nor for vigorous activities such as running, weight lifting, jumping or wrestling. Joseph Pilates wrote Return to Life as a home exercise program (page 18) available to anyone for only the price of the book. He suggested that everyone should do his exercises everyday. He also designed the Wunda Chair as a piece of home exercise apparatus. The public may participate in mat classes for as little as $10-15 per hour. To book a private session with a Pilates teacher should be considered in the same arena as booking time with a massage therapist or personal trainer at a cost of $50-$100 per hour. Pilates teachers also recommend that their clients practice Pilates exercises everyday or at least 3-4 times per week at home to supplement their training in the studio. The PMA believes that Pilates should evolve along with the advances of modern science, maintaining the integrity of the method with the safety and health of its participants always in mind. This means that if an exercise is determined to be contra-indicated or unsafe we will respect it as historical repertoire and modify it or delete it from any client's program that might be injured by performing the exercise. Have questions? Feel free to reach out to me in the form below! Or call 562-458-2446. I look forward to hearing from you!